Is your kiddo ready to look fast and furry? Excellent, because we have just what he needs for Halloween this year. Take a look at this awesome Child Deluxe Sonic Costume! It will be perfect for thwarting Dr. Eggman's dastardly plans and ensuring the safety of the Chaos Emeralds. 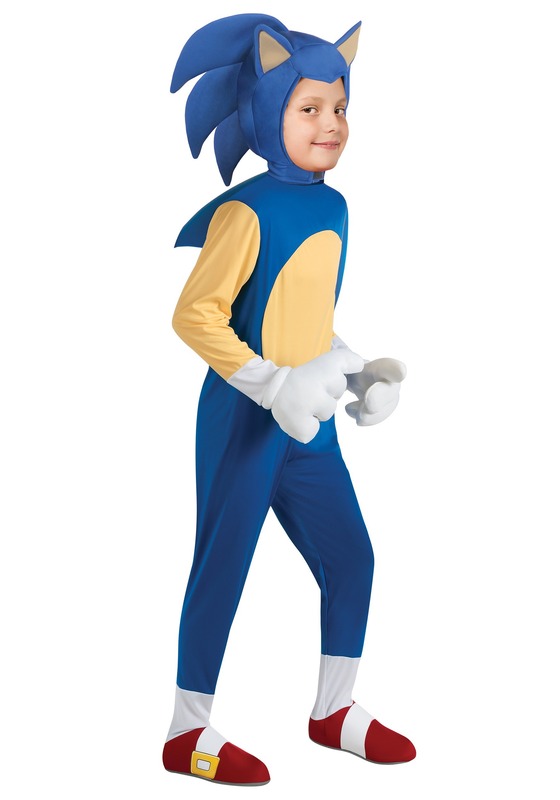 Once your youngster transforms into this speedy, blue hedgehog he’ll be on the fast track to having the best Halloween ever! Sega released the first Sonic video game decades ago and he quickly became one of the most iconic characters in gaming and pop culture. Whether your little speedster became a fan through the video games, animated series, or comics, once he slips into this deluxe jumpsuit he’ll look and feel just like his favorite heroic critter. Don’t be surprised if your new blue dude has a sudden urge to start collecting gold rings… hedgehog see, hedgehog do. He may be convinced he needs them in order to live and complete his mission of protecting the Chaos Emeralds, so just roll with it. One thing is for sure, with this costume, you’re kiddo will be the fastest trick or treater in the neighborhood. Other children may be ghosts and monsters or even a variety of video game characters but none of them will be as speedy and wisecracking as your tiny tyke! So grab this Child’s Deluxe Sonic Costume and let the adventure begin for your youngster. Before ya know it your little one will put together a ragtag group of rodents and they’ll all keep the world safe from the evil Dr. Eggman!